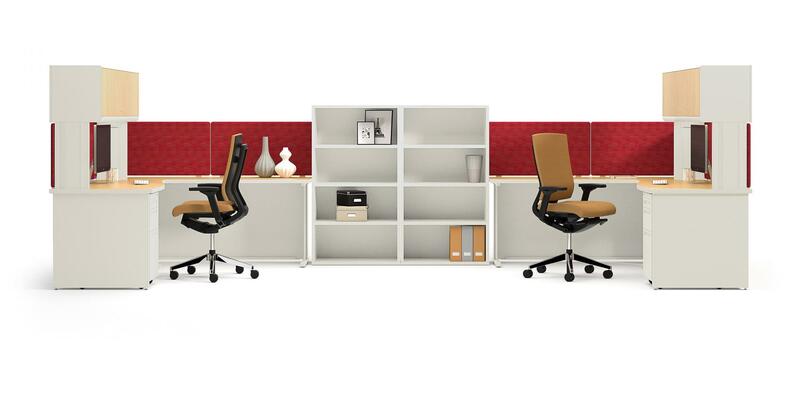 If you are looking for a modern design, we have a complete line of Modular Office System products. 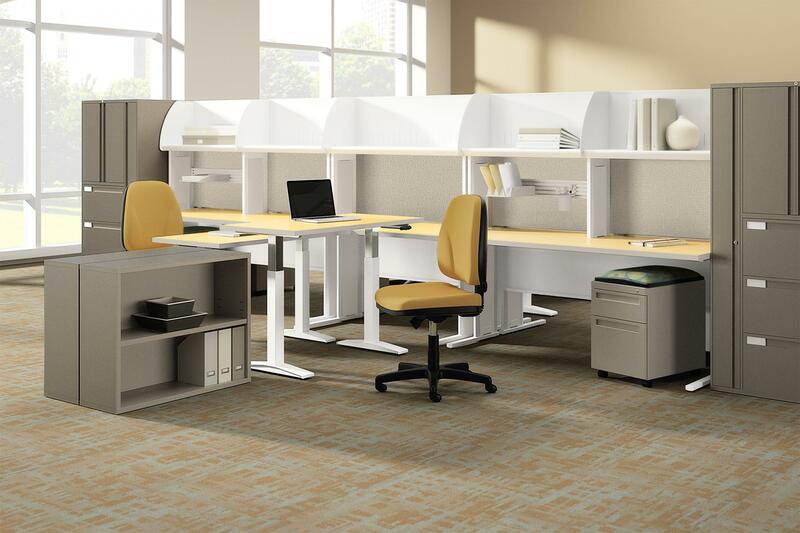 The FlexStation Desking System includes, among other things, height adjustable (manual or electric) worksurfaces. 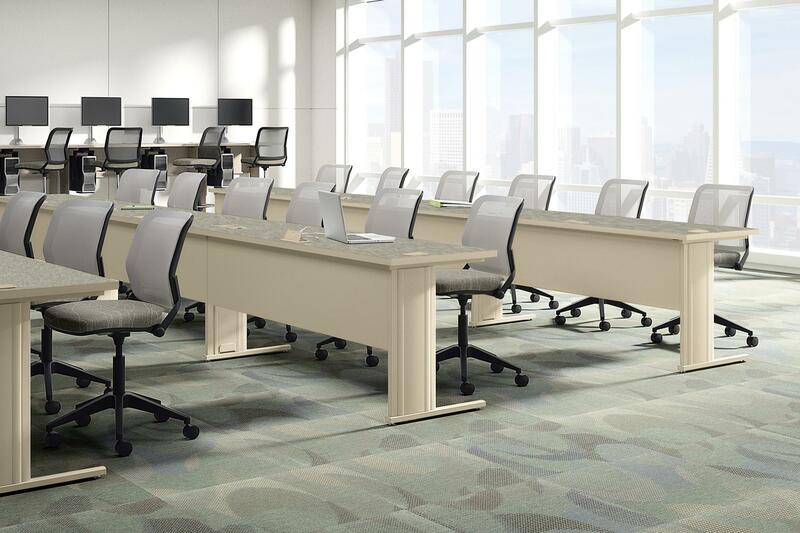 The PowerWorks Panel System is used to design individual office spaces. 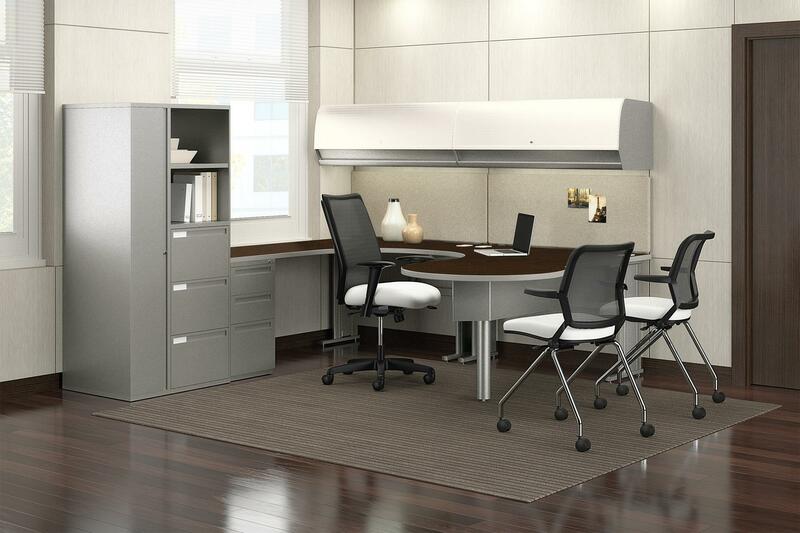 We custom design your available space to include desks and other work surfaces as well as file cabinets and shelves. Complex designs that include the PowerWorks panels may require more than one day to install and are subject to installation charges. Click here to view general information and specifications. See a slide show in our Facebook page and more photos in our Pinterest page. See the FlexStation brochure and the PowerWorks brochure from our vendor. Filing cabinets and metal bookcases in the brochure are listed here. Please contact your CSI Sales Representative for more information. Long surface is supported by metal support leg with adjustable glide. Connects to either 24" or 30" work surface. Adjustable keyboard pad; 3" height adjustments: 1" forward extension adjustment: 15° maximum downward tilt. Fourteen different sizes available. Height of the work surface is 29"
36" or 42" diameter and connects to 24" deep work surface. 29" height only with or without casters. For use with fixed height workstations only. Used to join 24" and 30" deep work surfaces in corner. Full wrap modesty panel included. Keyboard pad: 10" x 24"; 3" height adjustments: 1" forward extension adjustment: 15° maximum downward tilt. Available only in 30" deep work surfaces. Joins 24" deep work surface to 30" deep work surface. For use with fixed height workstations only. Full wrap modesty panel included. Enamel finish on metal parts. Cabinet doors have laminated surface with PVC edge. Secured to steel legs by concealed mounting brackets. 3" diameter metal support leg. When specifying peninsula side mount work surface a transitional leg must be ordered on the basic surface to which it will connect. Connects to either 24" or 30"work surface. Includes two work surface grommets. For use as conferencing corner. Includes two work surface grommets. Front edge is curved. Not available with both (TB) transitional legs. Front edge dimension is 17" on 24 x 36" and 30 x 42"; 25 ½" on 24 x 42" and 30 x 48"; 34" on 24 x 48". Available in 42" height only. Only connects to 30" wide work surface. Overheads cannot be mounted on any stand up work surface. For use with fixed height workstations only. Wireway option connects to existing openings at top of modesty panel with metal channel. Light has an 8' cord.